I am very excited to tell you about Naas Ladies Day. 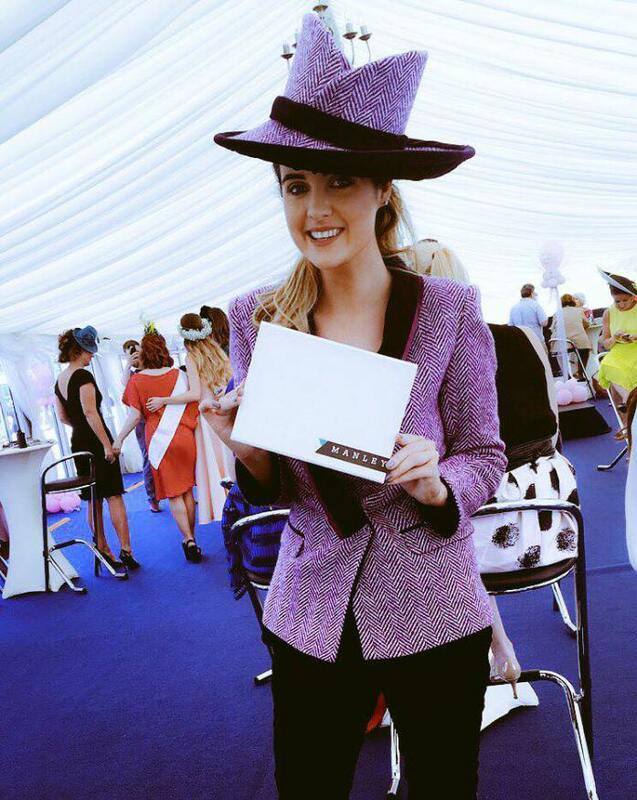 Lorna Duffy wins Best Irish Design prize wearing a purple velvet and tweed hat made by Suzie Mahony Designs Exclusive for the Catriona Hanly AW16 Collection. The overall outfit was very striking and individual. It is this vibrant mix that Lorna loved for her days racing and she looked amazing! I am particularly excited about Lorna's win which highlights the collaboration between Catriona and I bringing together the best of Irish Design. The aw16 collection offers an amazing array of colours in vibrant tweed and velvet. Being part of moulding these beautiful fabrics together in Millinery really gives unique options for ladies fashion. On the day the fashion was judged by Emma Manley one of Ireland's leading contemporary Fashion Designers. With no specific theme to follow for ladiesday the fashion competition really portrayed very quirky and individual styles which is what I love to see. I hope I will be reporting on many more Ladies Days through Summer 2016 Racing Season.